We’re big baking fans in our house, especially Max, he loves it! In fact he specifically requested an apron and a chefs hat for his last birthday! So we were delighted when we were sent a Mini Bakers Club box from BKD London. 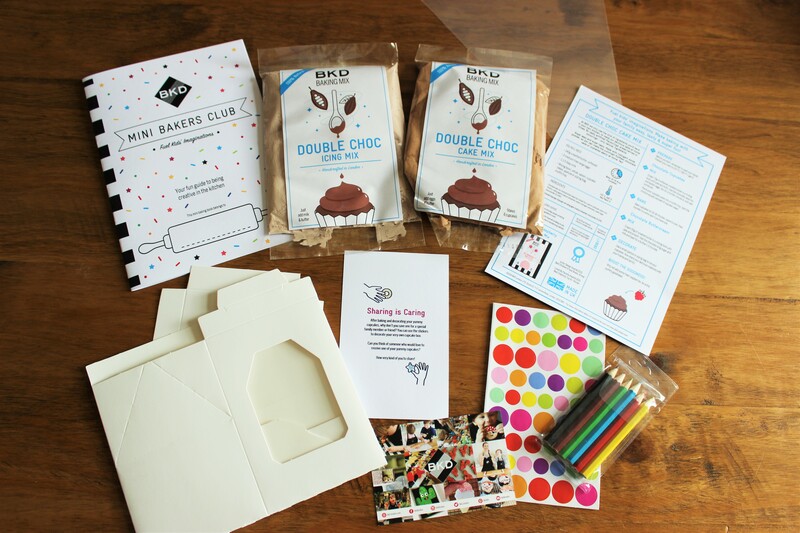 The Mini Bakers Club is a monthly subscription for your mini bakers where each month you receive a different baking and craft box. We waited until the weekend to do our baking so that Max was off school and could join in, after all he’s the big baking fan in our house! The kids couldn’t wait to get started and were quick to put their aprons on and wash their hands in preparation. The baking was really easy to do, very child friendly! We mixed the cake mix with two eggs and some butter before putting it into the cupcake cases and baking for 15 – 20 minutes. While the cakes were baking it was the perfect time to have a go at the activities that were included in the box. Evie decorated the little box as she insisted that we had to save one of the cupcakes for Nanny. Once the cakes were done and had cooled down we had some fun decorating them, and then the best bit, eating them! 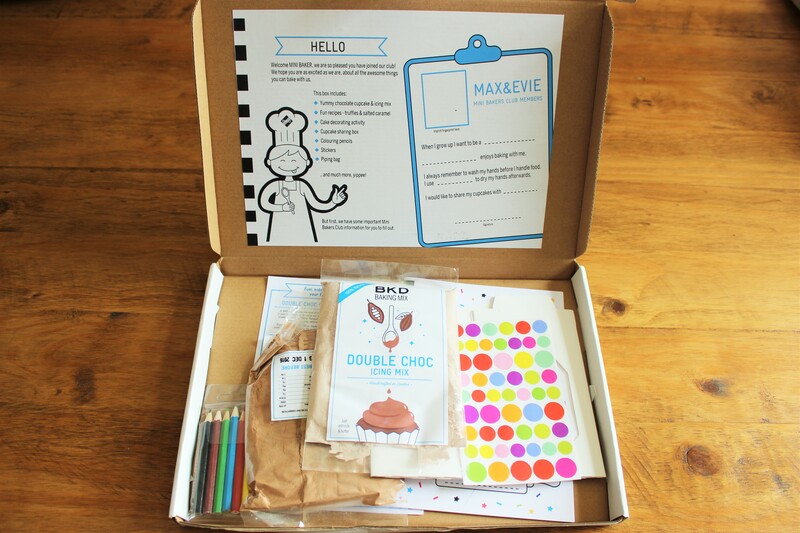 We loved our Mini Bakers Club box, it was a great weekend activity and great value for money in my opinion. 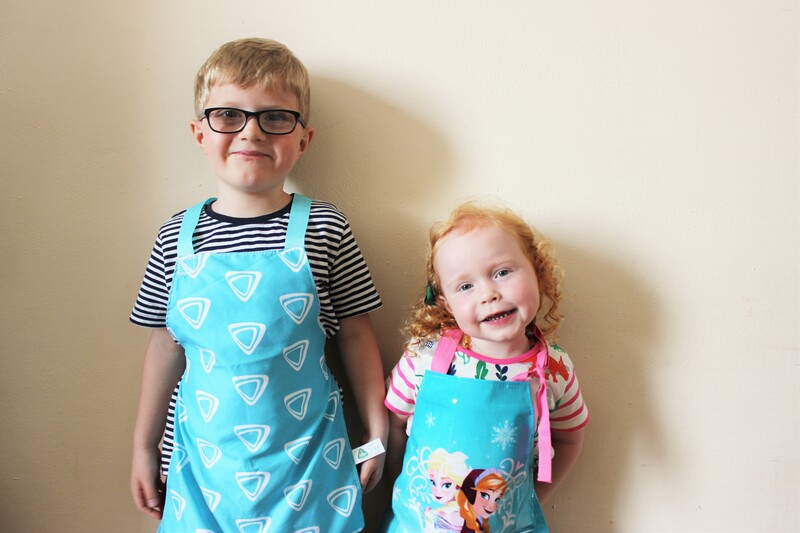 The Mini Bakers Club is £9.99 per month, but BKD are currently running an offer where you get your first box half price, so just £4.99! For more information and to sign up click here. Thank you to BKD for sending us this box in exchange for a review. All opinions are my own.